It’s funny that I originally started this blog to keep track of my knitting projects yet lately I’ve been lousy about posting knitting-related updates here. I’m still knitting these days–not so much with my knitting group (busy schedules and other interests and obligations have made it difficult for us all to get together as often as we used to), but mostly during times when I’m sitting around waiting somewhere or watching a DVD.Early last month I finished the hem on my Wallaby. I’d originally knit it with a rolled hem, but after test-wearing it for a couple of months I decided I didn’t like how the roll formed a “bump” that poked me in the lower back whenever I leaned back on it. So I picked up stitches all around the cast-on edge, knit a hem, and sewed it down. I’m pleased with the results. 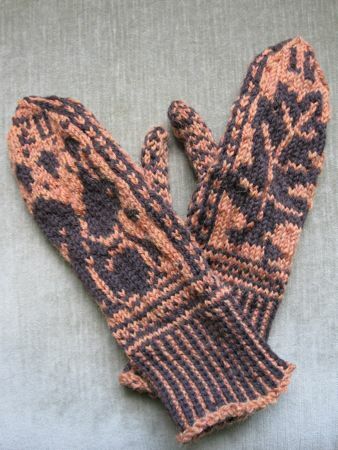 I also finished my squirrel and oak mittens to match the ones I knit for Sylvia a year and a half ago. She really wanted us to have matching mittens, and it took me a while to get the yarn and gauge right.You may recall that I knit Sylvia’s left mitten three times before I got the size right. I did not rip the failures but plan to knit their mates at some point. The small ones can be a baby gift for someone, and the larger ones will probably fit Sylvia this year. 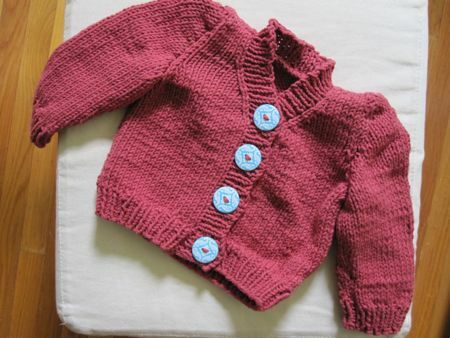 Happily, I had no gauge problems whatsoever with this baby cardigan, sized for 6-12 months. Two years ago I took a class with Margaret Fisher and was so inspired that a couple of months later I got her book, Seven Things that can “Make or Break” a Sweater: Techniques and Tips for Hand Knitters (even though the capitalization choices and use of quotes in the title annoy me). This baby cardigan project features all of the elements she discussed in that book: as you read the book, you work through the project, thus getting some hands-on experience with each technique.I knit this in Rowan All-Season Cotton from my stash. What a fun project! I definitely want to knit this pattern again. 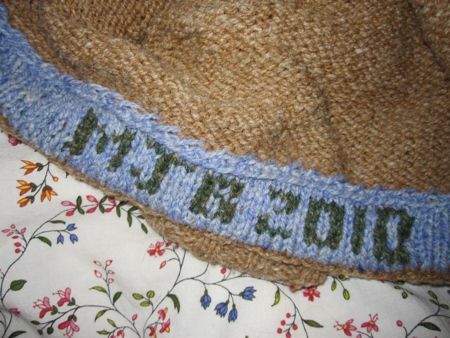 This particular sweater went to a friend who is expecting her first child at the end of July. I can’t wait to see photos of the baby wearing it this winter! You’re so talented! And I’m glad you’re sharing your creations with us.